The New Zealand centuran prop Owen Franks has been looking towards life post Rugby World Cup 2019 away from the Southern Hemisphere. Coming close to 10 years with the Crusaders, Franks could be joining older brother Ben in a brotherly front row for Northampton Saints. 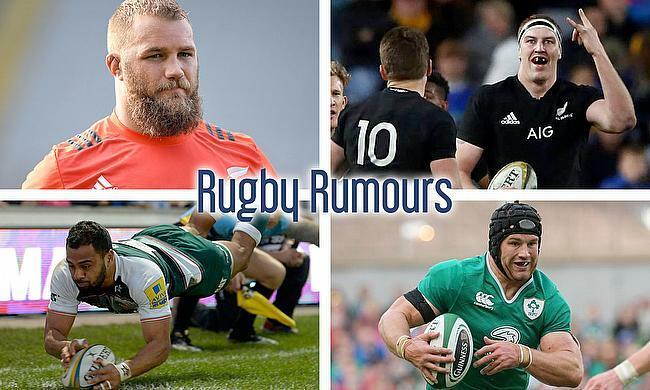 Another All Black in the rumour-mill is Brodie Retallick, who has been linked with a move to Gallagher Premiership's northern boys Sale Sharks. At only 27, the gigantic second row would be seemingly cashing in in Manchester, with a reported offer of £1m (NZ$1.9m) which could bring him over post RWC2019. Irish international Sean O'Brien is set to join London Irish next season after the Leinster flanker reportedly agreed a deal with the current Championship leaders. The British and Irish Lion will be joining Irish under Declan Kidney who coached O'Brien for four years in the international set-up from 2009-13. Leicester Tigers fullback Telusa Veainu's social media activity over the last couple of days has given rise to rumours about his future with a different club.